Greylin dress. Obey jacket. Hare + Hart bag. BC Footwear booties. La Mer watch. Stripes are invariably tricky: horizontal stripes make you look wider and vertical stripes accentuate every curve on your body (and not just in the right places). 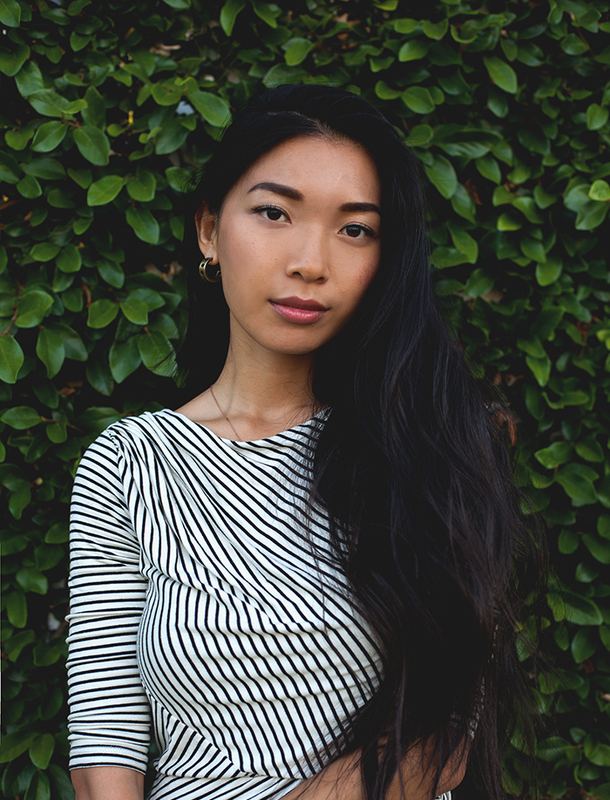 I often avoided striped clothes, because honestly, I'm already short, so I do not need to look wide. It wasn't until I found more and more pieces in multi-directional stripes, like this beautiful Greylin dress, that I started having fun with the classic pattern, without the distorted consequences. It's a great go-to dress for warm days and I love its brilliant ruched details that play up the stripes in a new dimension. 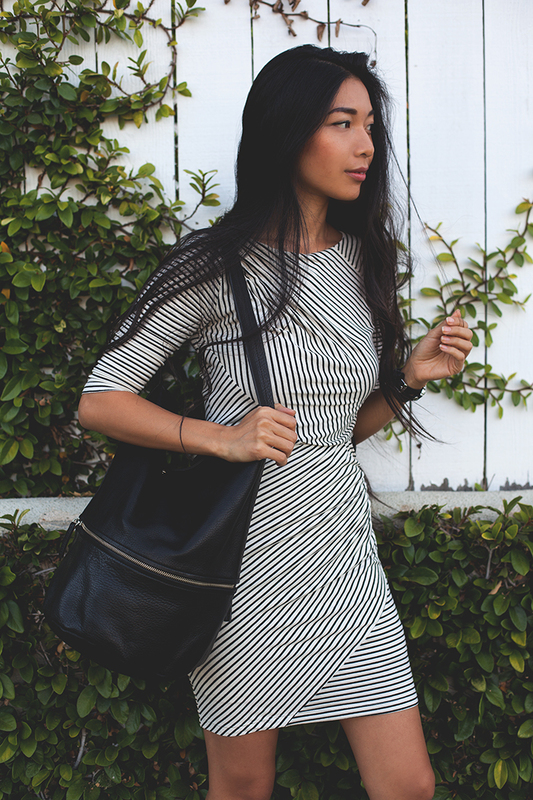 What is universal with all kinds of stripes is that they are always a perfect pair with black leather. That dress is absolutely wonderful, but what I love even more is the photography. The pictures on your blog are breathtaking! May I ask how you achieve those rich, deep tones? I usually see bloggers create the opposite effect - the overexposure of the images. Your pictures have such a beautiful, almost mysterious quality.